.........an all-purpose cleaner, brightener, herbicide and more. Just a bit of this multitasker, straight up or mixed with water, can replace many pricier products huddled under your sink. Try these tips to see how vinegar can make your life cheaper and easier. 1. Freshen up the fridge. Clean the shelves and walls with a solution of half water and half vinegar. 2. Brighten coffee cups and teacups. 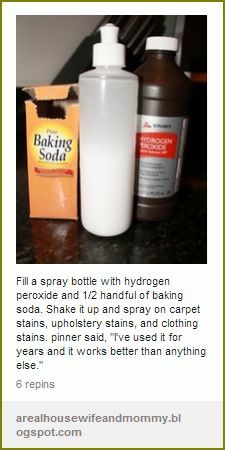 Gently scrub stains with equal parts vinegar and salt (or baking soda). 3. Eliminate odors. Swab plastic containers with a cloth dampened with vinegar. 4. Kill bathroom germs. Spray full-strength vinegar around the sink and tub. Wipe clean with a damp cloth. 5. Save a garment. To remove light scorch marks on fabrics, rub gently with vinegar. Wipe with a clean cloth. This technique also works on antiperspirant stains. 6. Tidy up a toilet. Pour a cup or more of diluted white distilled vinegar into the bowl. Let sit several hours or overnight. Scrub well with a toilet brush and flush. 8. Renew paint brushes. To remove old paint, place brushes in a pot with vinegar. Soak for an hour, then turn on the stove and bring the vinegar to a simmer. Drain and rinse clean. 9. Wipe off a dirty faucet. To get rid of lime buildup, make a paste of 1 teaspoon vinegar and 2 tablespoons salt. Apply to sink fixtures and rub with a cloth. 10. Stop static cling. Add ½ cup of white distilled vinegar to your wash cycle. The acid reduces static and keeps dryer lint from sticking to your clothes. 11. Make old socks look new. Get the stains out of old socks and sweaty gym clothes by soaking them in a vinegar solution. Add 1 cup of white distilled vinegar to a large pot of water, bring to a boil and drop in the stained clothes. Let them soak overnight, and in the morning stained clothes are fresh and bright. 12. Restore handbags and shoes. Wipe white distilled vinegar on scuffed leather bags and shoes. 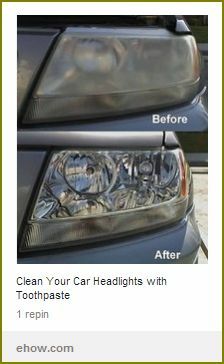 It will restore their shine and help hide the marks. 13. Banish weeds. 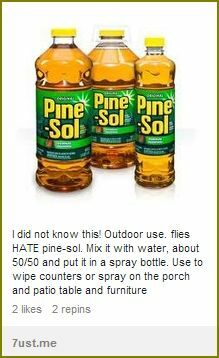 Pour white distilled vinegar on the weeds growing in the cracks of your walkway and driveway. Saturate the plant so the vinegar reaches the roots. 14. Liven droopy flowers. Don’t throw out cut flowers once they start to wilt. Instead, add two tablespoons of white vinegar and one teaspoon of sugar to a quart of water. Pour the solution into your vase, and the flowers will perk up. 15. Put an end to itching. Dab a cotton ball soaked in white vinegar on mosquito bites and insect stings. It will stop them from itching and help disinfect the area so they heal faster. 16. Whiten your teeth. Brush your teeth once a week with white distilled vinegar. Dip your toothbrush into the vinegar and brush thoroughly. It will help prevent bad breath, too. 17. Make nail polish last longer. Before you apply your favorite polish, wipe your nails with a cotton ball soaked in white distilled vinegar. The clean surface will help your manicure last. 18. Keep car windows frost-free. Prevent windows from frosting over in a storm by coating them with a solution of three parts white distilled vinegar to one part water. The acidity hinders ice, so you won’t have to wake up early to scrape off your car. 19. Let your dog shine. Spray your dog with one cup white distilled vinegar mixed with one quart water. The solution is a cheap alternative to expensive pet-care products, plus the vinegar will help repel pests like fleas and ticks. 20. Battle litter-box odor. Cat litter can leave behind an unwelcome smell. Eliminate it by pouring a half-inch of white distilled vinegar into the empty litter box. Let stand for 20 minutes, then rinse with cold water. 21. Kill bacteria in meat. Marinating in vinegar knocks out bacteria and tenderizes the meat. Create a marinade by adding ¼ cup balsamic vinegar for every 2 pounds of meat to your own blend of herbs and spices. Let the meat sit anywhere from 20 minutes to 24 hours, depending on how strong you want the flavor, then cook it in the morning without rinsing. 22. Prevent cracked eggs. Prevent eggs from cracking as they hard-boil by adding two tablespoons of white vinegar to the water. The eggs will stay intact, and the shells will peel off more easily when you’re ready to eat them. 23. Steam away a microwave mess. Fill a small bowl with equal parts hot water and vinegar, and place it in the microwave on high for 5 minutes. As the steam fills the microwave, it loosens the mess, making clean up a breeze. 24. Repair DVDs. If you have a worn DVD that skips or freezes, wipe it down with white distilled vinegar applied to a soft cloth. Make sure the DVD is completely dry before reinserting it into the player. 25. Get those last drops. If you can’t get that final bit of mayonnaise or salad dressing out of the jar, dribble in a few drops of vinegar. Put the cap on tightly and shake. The remaining condiments will slide out. 26. Rinse fruits and vegetables. Add 2 tablespoons white distilled vinegar to one pint water. Use the mixture to wash fresh fruits and vegetables, then rinse thoroughly. The solution kills more pesticide residue than does pure water. 27. Brighter Easter eggs. Before your kids dye Easter eggs, mix 1 teaspoon of vinegar with ½ cup of hot water, then add food coloring. The vinegar keeps the dye bright and prevents the color from streaking. 28. Loosen a rusted screw. Pour vinegar onto the screw, and it will easily unstick. 29. Remove gum. To remove gum from fabric or hair, heat a small bowl of vinegar in the microwave. Pour the warm vinegar over the gum, saturating the area. The gum will dissolve. 30. Keep cheese from molding. Wrap cheese in a vinegar-soaked cloth, then place in an airtight container and refrigerate. 31. Renew a loofah. Soak your loofah in equal parts vinegar and water for 24 hours to dissolve soap residue, then rinse in cold water. 32. Remove wax. If you get melted candle wax on your wood furniture or floors, gently wipe it away with a cloth soaked in a solution of equal parts white vinegar and water. 33. Take a relaxing bath. Add ½ cup of vinegar to warm bath water for a cheap spa session at home. The vinegar removes dead skin, leaving you feeling soft and smooth. 34. Brighten your hair. Remove hair product buildup by rinsing a tablespoon of vinegar through your hair once a month. 35. Freshen fabrics. Fill a spray bottle with white vinegar and spritz your home to neutralize odors in fabrics, carpets, shoes or any sprayable surface. 36. Erase crayon. If your kids get crayon marks on the walls or floor, dip a toothbrush in white vinegar and gently scrub. The vinegar breaks down the wax, making for an inexpensive, nontoxic way to clean up after children. 37. Sticky stickers. Don’t scratch at the residue left by stickers or price tags. Instead, apply vinegar to the gunk, let it sit for a few minutes, then wipe the glue away. 38. Clean the dishwasher and coffee pot. Reduce soap buildup and food residue by pouring a cup of vinegar into your empty dishwasher or coffee pot once a month and letting it run a full cycle. 39. Sanitize pet accidents. You can remove the stain―and smell―of your pet’s accident by mixing ¼ cup vinegar with a quart of water and blotting the mixture onto the mess with a washcloth. Continue dabbing until the spot is gone. 40. Prep for summer grilling. To remove charcoal buildup from your grill, spray white distilled vinegar on balled up aluminum foil and scrub the grate thoroughly. 41. Restore shower head pressure. If your shower head gets clogged with mineral deposits, soak it for 15 minutes in a mixture of ½ cup vinegar and 1 quart water. 42. Clean your scissors. When your scissor blades get sticky, wipe them down with a cloth dipped in full-strength white vinegar. Unlike soap and water, vinegar won’t ruin the blades or rust the metal. 43. Unclog drains. For a natural, nontoxic way to clean clogged pipes, pour one cup of baking soda, followed by one cup of white vinegar, down the drain. Let the products bubble and foam, then flush the pipes with a pot of boiling water. 44. Eliminate dandruff. If your scalp is feeling dry or flaky, vinegar can be a simple at-home remedy. Once a week, pour one cup of apple cider vinegar over your scalp, and let it sit for 15 minutes. Rinse thoroughly with cool water. 45. Soften your feet. Summer sandals leaving you with cracked heals and calluses? Soak your feet for 20 minutes a day in one part vinegar to two parts warm water. The vinegar removes dead skin, leaving your feet soft and smooth. Find out why this powerhouse of a product is one of the most versatile and effective tools in your household arsenal. Baking soda can do a lot more than just sit in the back of the fridge. Try these easy tips and put baking soda to work in every room of your house! Skip produce washes—just put some baking soda on a damp sponge, scrub and rinse. Soak hair brushes and combs in a mixture of 1 teaspoon baking soda and a small amount of warm water. Rinse and dry. Before you store your patio furniture for the season, scatter baking soda under chair cushions. Keep your grill clean all summer long by putting some baking soda on a damp brush, scrubbing the grate, then rinsing. Freshen rugs by sprinkling baking soda on carpet, wait at least 15 minutes (preferably let sit overnight), then vacuum up. Add 1 cup of baking soda to your next load of laundry (along with your regular liquid detergent) to get clothes cleaner and brighter. Remove baked-on residue by shaking a generous amount of baking soda on pots and pans. Then add hot water and dish detergent, let sit for 15 minutes and wash as usual. Deodorize a funky-smelling hamper. Sprinkle baking soda in the bottom of the hamper (or over dirty clothes) to keep items fresher until laundry day. To brighten a dull floor finish, dissolve ½ cup baking soda in a bucket of warm water. Mop and rinse for a shiny floor. Make your own bathroom scrub by mixing ¼ cup baking soda with 1 tablespoon liquid detergent. Add vinegar to give it a thick, creamy texture. To put out a grease fire, scatter baking soda over it by the handful to extinguish flames. Clean the dishwasher and coffeemaker by running an empty cycle with baking soda. Add ½ cup baking soda to your bath for an at-home spa treatment. To shine tarnished silver, combine three parts baking soda with one part water. Rub onto silver with a clean cloth or sponge. Rinse thoroughly and dry. Sprinkle baking soda in the kitty box, then add litter on top to keep smells to a minimum. Or make a DIY litter, mixing a small box of baking soda with 3 inches of sandy clay. Use baking soda to brush your pets’ teeth. For instant relief from bug bites, sunburn and poison ivy, mix baking soda with a little water and apply it directly to the sore. Pour in 1 cup baking soda followed by 1 cup hot vinegar to quickly unclog the kitchen drain. Fight dandruff by tabling the shampoo for a few weeks and massaging your wet scalp with a handful of baking soda instead. Gargle with baking soda, or use it as mouthwash. Soak toothbrushes in a mixture of ¼ cup baking soda and ¼ cup water; let brushes stand overnight for a thorough cleaning. Make a fluffier omelet by adding ½ teaspoon baking soda for every three eggs. Use a pinch in a gallon of freshly-brewed iced tea, to take out the bitterness and prevent cloudiness. Scatter baking soda on icy sidewalks―it’s not as corrosive as salt. Discourage weeds by sprinkling baking soda into the cracks on your driveway and walkways. Surround Fido’s food bowls with baking soda to keep pests away. Mix a little baking soda into your conditioner and lather on your hair to keep it healthy and resistant to split ends. Have heartburn? Create an antacid by mixing ½ teaspoon of baking soda with ½ cup of water. To clean a toilet, add ¼ cup baking soda to the bowl, swirl, then scrub. Exfoliate your skin with a paste of 3 parts baking soda to one part water. Apply gently with your fingertips in a circular motion, then rinse. To deodorize a drain, pour about 1/2 cup baking soda down the drain, followed by 1/2 cup vinegar. After 15 minutes, pour in boiling water to clean residue. Note: Use this method only if your pipes are metal. And never mix with other cleaning solutions. 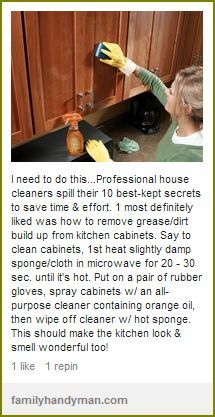 Don't try this if you've recently used a commercial cleaning product.